German Shepherd Dog Forums > Members Corner > Pictures! Pictures! Pictures! > Wolf got his CGC! Proud of this boy! 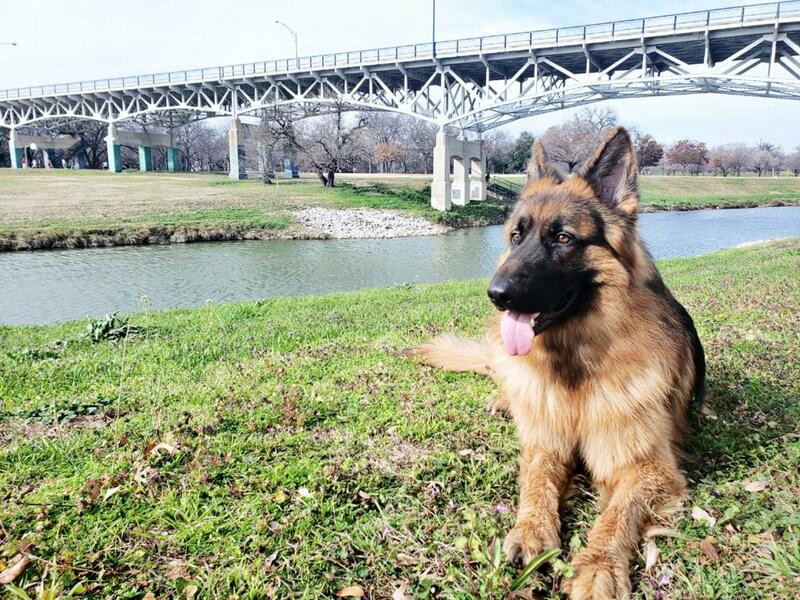 We are currently going through the steps to get him registered with Pet Partners of Greater Dallas and getting a CGC on him seemed like a good way to prep for the assessment that he will need to go through. I will be getting his CGCU and CGCA next. Femfa and tim_s_adams like this. Atta boy Wolf! Congrats to both of you and btw, you both seem to be color coodinated in those gorgeous pics. Thanks! Love this boy! We're going to an information meeting for Pet Partners on Sunday to learn more about certification. I'm excited! Congratulations to you and Wolf. He's a handsome fellow!